Sydney Schanberg never forgot his roots in Clinton, Mass. Sydney Shanberg at the New York Times office in 1976. At first glance, he looked like the neighborhood grouch. Steely eyes. Jaw set. Arms folded. A crusty old man. And that’s what the other kids in the neighborhood thought of him. But they didn’t know Louis Schanberg like I did. His back door was 50 yards from my front porch, and through the years I became his helper. I carried his summer furniture down from the attic each May and returned it there after Columbus Day. I shoveled his driveway in the winter. Every summer, I knelt with him in his garden, planting tomatoes as we listened to the Red Sox on his tiny transistor radio. In those days, my dad was working two jobs, delivering the mail every day, working in a local factory at night to support his big family. On the eve of every Thanksgiving, Louis would climb up our back steps, carrying a couple of blueberry pies, waving away any word of thanks. In the summer, we found bags of vegetables on our doorstep from that garden I helped him plant. Louis ran a small neighborhood grocery store in Clinton, my hometown, and my dad told me he was an especially generous man, who let customers short on cash take the food they needed. Pay me when — and if — you can, he told them. I wrote to Sydney Schanberg and he was polite and encouraging in his reply. But perhaps he sensed what I knew: I was more prepared to practice brain surgery at the Brigham in those days than I was to write for the Times. But I knew how to read. And reading Sydney Schanberg in those days, when he became a critical witness as Cambodia fell to Pol Pot’s Khmer Rouge in 1975, was to read a riveting, heart-stopping first draft of history. “Perhaps as many as three or four million people, most of them on foot, have been forced out of the cities and sent on a mammoth and grueling exodus into areas deep in the countryside where, the Communists say, they will have to become peasants to till the soil,’’ Schanberg wrote in the first account of the emptying of Phnom Penh. 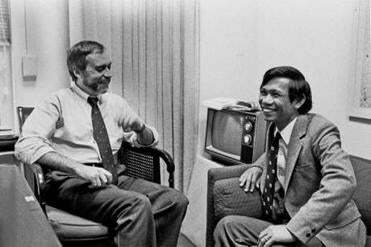 His coverage won him the Pulitzer Prize and his lengthy Times magazine account of his journalistic partnership — a brotherhood really — with his assistant, Dith Pran, became the basis for “The Killing Fields,’’ the movie in which Sam Waterston portrayed Schanberg. When Phnom Penh fell, Schanberg was forced from the country and Dith Pran became a prisoner of the Cambodian Communists, escaping in early October 1979 when Schanberg flew to the Thai border to greet him. Louis Schanberg hosted Dith Pran in his home in Clinton months after his release and invited me to sit with him. I have forgotten countless interviews I’ve conducted over the years. But that afternoon, sitting in Louis Schanberg’s living room and hearing Dith Pran’s harrowing, first-hand account of what he ate and what he drank — what he had to do to survive killing fields in which nearly 2 million perished — is forever seared into my memory. Sydney Schanberg never forgot his hometown. Another kid from our neighborhood, Mike Bonin, followed Schanberg’s footsteps from Clinton High School to Harvard. Just before Bonin left for school in Cambridge in 1985, he visited Schanberg in New York. Mike Bonin was on the edge of adulthood during that meeting and he walked away from it with this impression: that a kid from a small town could go pretty much anywhere. My old friend Louis Schanberg was 93 when he died in 1985. His son, Sydney, 82, died on last Saturday in Poughkeepsie, N.Y., reportedly of a heart attack. After his years as a foreign correspondent, he became a Times editor and columnist. He later wrote for New York Newsday. Along the way, he collected numerous journalistic honors, including two George Polk Awards. 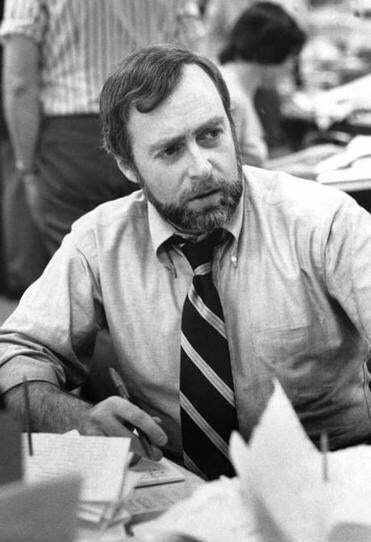 Sydney Schanberg was a journalism giant. He was a man of accomplishment, who touched many lives. Just like his father.